These details will later be required to activate your license. The download page can be found here. The process is straightforward and completed in less than a minute. Note: In a recent post from TinyCP team, it was made known that TinyCP will remain free until the beginning of 2019. After that, in order to keep the project alive, small fees will be charged on per IP bases. Per the information in that post, the prices will be $1 Montly and $10 Annually. 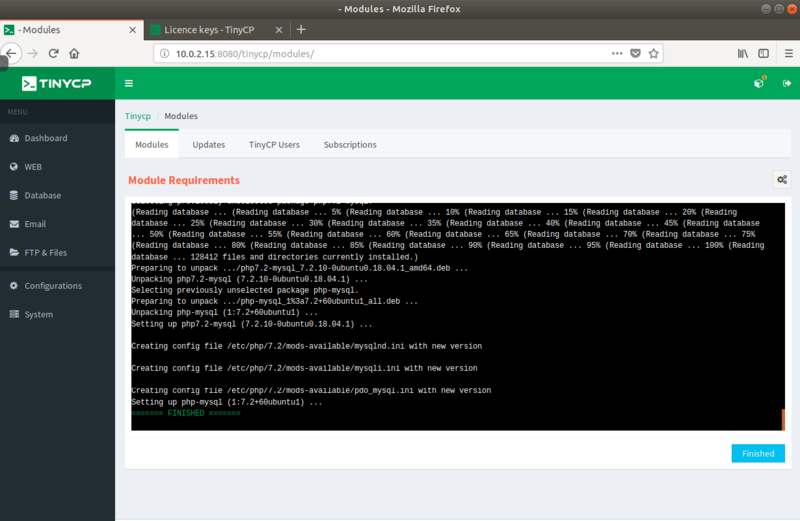 For the purpose of this article, I will be installing TinyCP on a Linode Ubuntu 16.04 VPS with IP address 10.0.2.15. 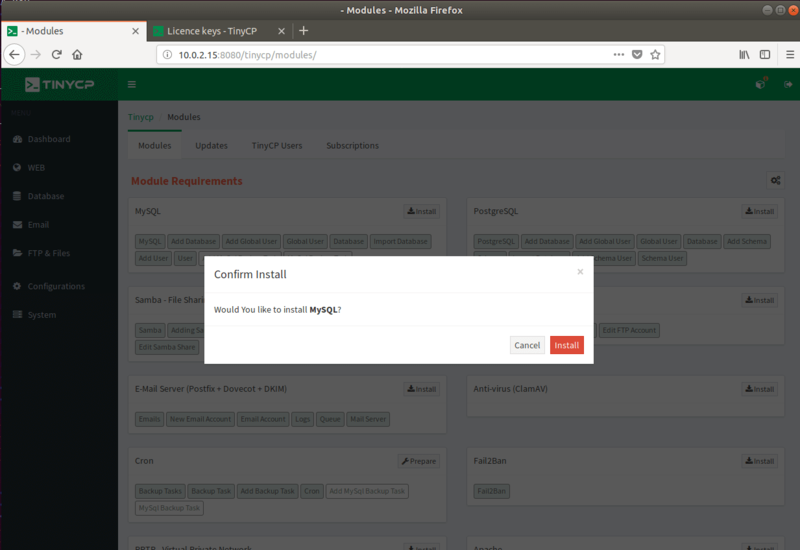 To install TinyCP you will need to download their installer. 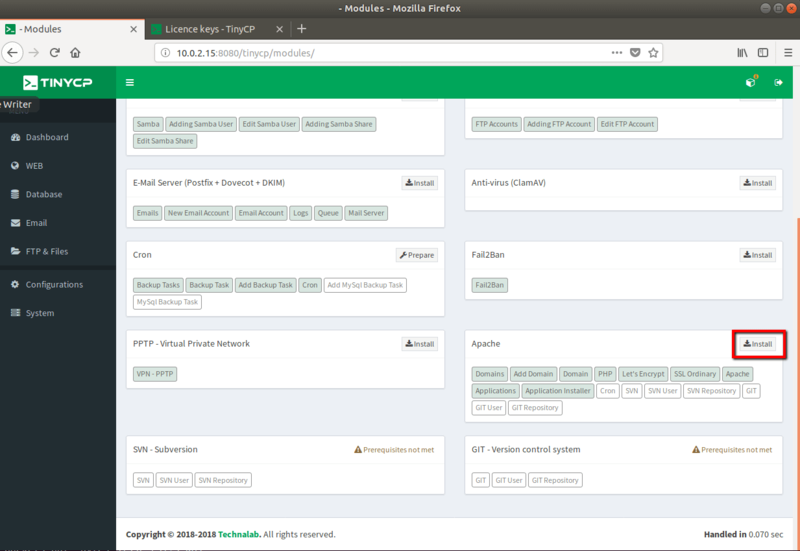 For that purpose, you can navigate to a directory of your choice and run the commands below. For organization purposes, I will download the package in: /usr/local/src/. Give executable permissions on the downloaded file and run it. Note: Before trying to access the provided URL, you will need to start TinyCP with the following command. Each process is pretty straightforward and does not require any additional explanation. 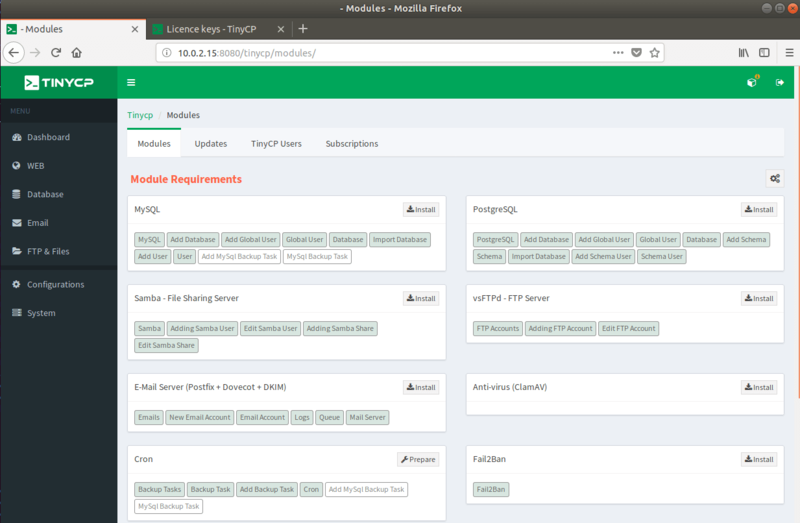 If you wish to tweak your services a little more, you can go in the “Configuration section on the left, choose the service you wish to tweak and make your changes. Main section – provides information about domain, document root and allows you to setup www redirect. 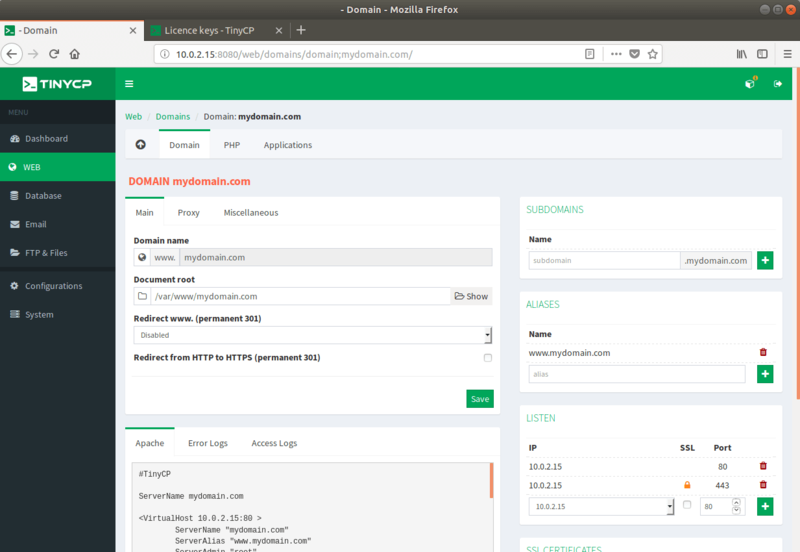 Subdomains – Easily create subdomains. 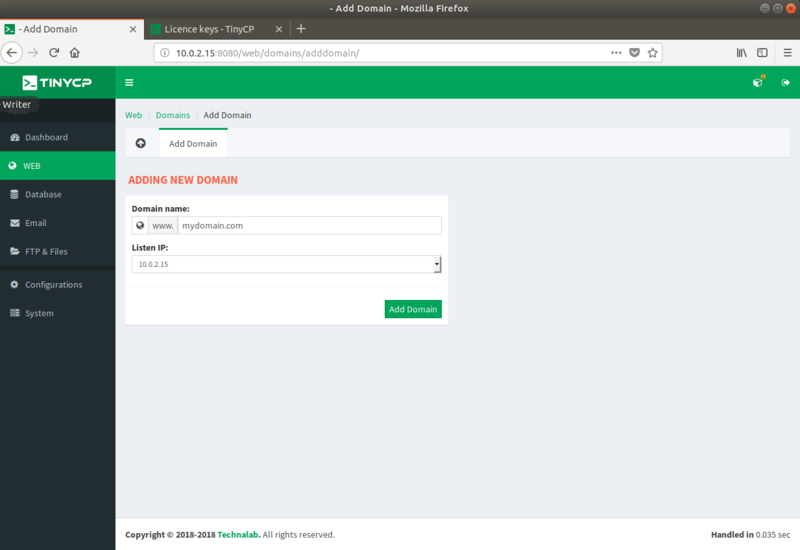 Aliases – create domain aliases. Listen – list with IP addresses on which IP resolves and allowed ports. 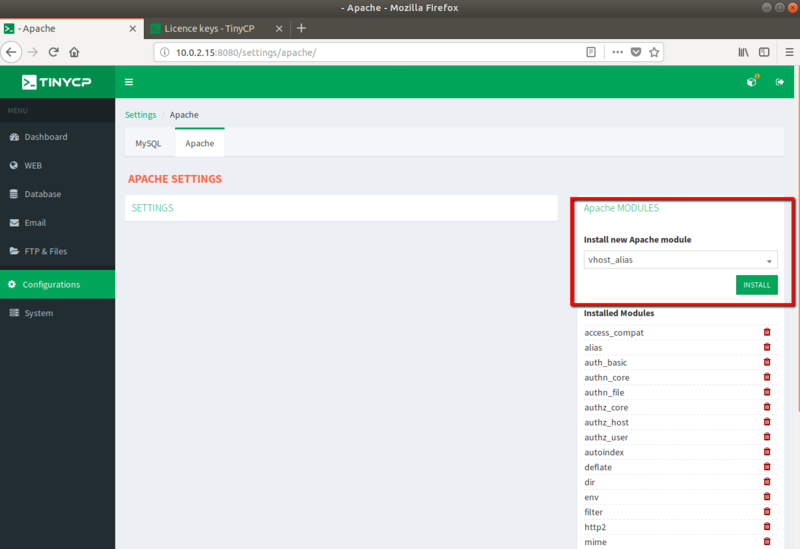 Apache, error logs, access logs – first tab allows you to see the vhost for your domain, next are the error logs and third are the access logs. PHP – allows you to configure certain PHP settings, disable functions etc. Applications – helps you install applications on your domain, including RoundCube and WordPress. The panel only shows information about your system. No actions can be taken from here (such as killing a process for example). 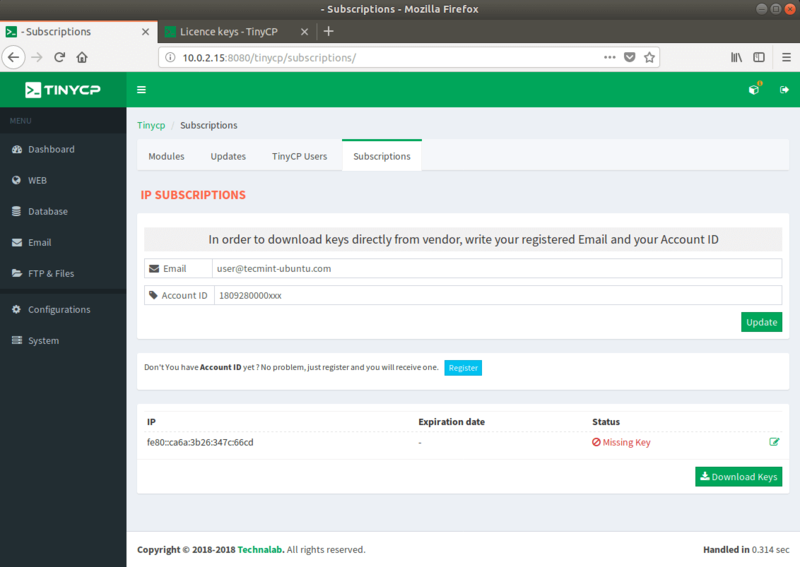 TinyCP is a lightweight, feature rich control panel, that allows you to easily create domains, databases, email and FTP accounts etc. The interface is simple and easy to navigate through. If you are short on resources and need a control panel to create and manage your system, this might be the right choice for you. My guess here is that it was easier for them to work with apache. I agree that nginx would be a better option if looking for a “tiny” approach. Probably they will add it in future, since the dev team is still working on this. What is the killer feature vs webmin? Why this vs a popular free tool? I don’ think TinyCP beats Webmin, because Webmin has a huge list of features then this TinyCP and also Webmin is free. 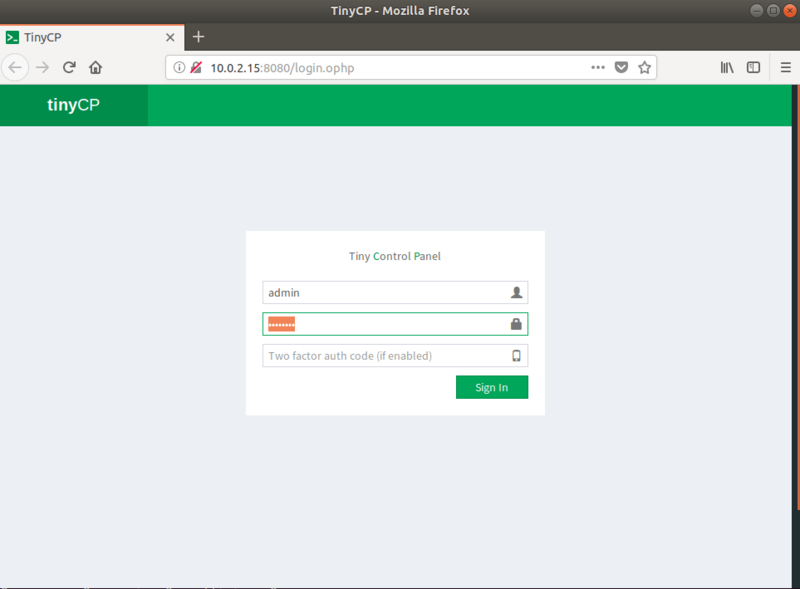 @Kamen, I think TinyCP is better suited for small servers, similar to Linode’s 5$ server. I don’t think overall TinyCP is better then webmin, but if you are limited on resources, you can give it a try. 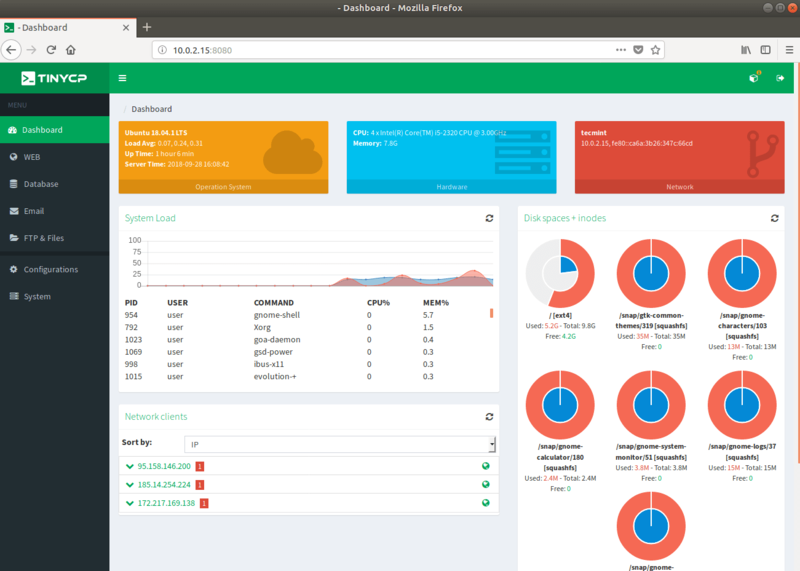 On the other hand, it really does not provide more features compared to webmin. But let’s give it credit, this is a relatively new project and it’s doing pretty well so far. I am not sure if people are going to use it when they make it a paid service, considering there are better free alternatives.